Manufacturer of a wide range of products which include dolphin 6100 mobile computer, wireless dolphin 6500 mobile computer, wireless dolphin 7600 mobile computer and wireless mc 55 mobile computer. 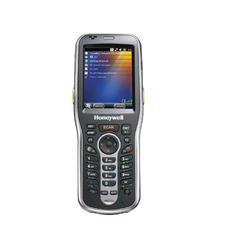 The Honeywell wireless Dolphin 6100 Mobile Computer is nothing short of a wireless handheld portable computer which is very reliable as it offers superior data collection especially of audits, price lookups, and inventory management. This too is favored by workers, who have to move about, making it easy for them to update their tasks. It is light in weight, making it easy to carry around. It can scan 2D barcodes and stores digital images while enforcing a digital signature. 300001330: Dolphin 61x00 wall power supply for direct charging, Home BaseTM, or e BaseTM. Prong to be purchased separately. 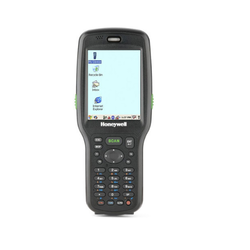 For someone who has to scan barcodes on grocery and retail, the Honeywell Wireless Dolphin 6500 Mobile Computer is your best choice. Not only it is light in weight, it is also quite affordable, and offers superior data collection. The keypad is the best thing about Honeywell wireless Dolphin 6500 as it is equipped 52 alphanumeric keys and 28 numeric keys. It is designed in a fashion so that it maintains all security norms. 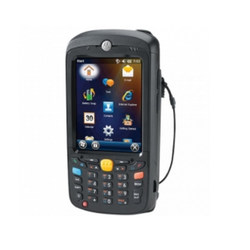 Honeywell’s Dolphin® 6500 is a lightweight and versatile mobile computer that provides advanced data collection and real-time wireless communication for in-premise applications in retail, grocery and light-industrial supply chain environments. Multiple keypad options—the 28-key numeric and the 52-key alphanumeric—allow the deliver to be tailored to meet application requirements, as well as user preference. The Honeywell Wireless Dolphin 7600 Mobile Computer is an excellent portable computer with the added benefit of GSM wireless technology and has an in-built GPS hardware. This helps in navigation, geo-fencing, and driver optimization. It is compact in size and light in weight making it easy to carry around and has a design that makes it perfect for single-handed use. Since it is carried to sites and other places, the construction is sturdy. 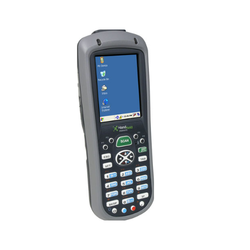 The Dolphin® 7600 mobile computer is now available with GSM wireless technology and built-in GPS hardware. Small, lightweight and built for the worker who is constantly on the move, the Dolphin 7600 features the data collection and communication capabilities that keep businesses connected to their employees, their customers and their supply chain - empowering them to work smarter..
Built-In GPS Technology: Enables turn-by-turn navigation, driver route optimization, “bread-crumbing,” geo-fencing, and otherlocation-based applications. Small, Ergonomic Design: Contoured, narrow body with an integrated finger saddle and angled image engine for comfortable one-handed use. Engineered for Durability: Constructed for reliable use in light-industrial applications–in the field and on-site. Wireless Full Area Networking™ (WFAN): Real-time data exchange and voice communications on-site or off, plus Bluetooth for efficient wireless connection to peripheral devices. Versatile, High Performance Data Collection: Adaptus Imaging 5.0 enables workers to capture more service-enhancing frontline data by reading linear and 2D bar codes, intelligently capturing signatures and taking digital pictures. The Motorola Wireless MC 55 Mobile Computer is not just a scanner, it also a cell phone, two-way radio, digital computer and a portable computer. It has been designed keeping in mind those people who move around a lot for their work. The performance is almost equivalent to that of a desktop but it requires less power. It has a memory of 128 mb ram and flash memory of 512mb. Looking for Wireless Mobile Computer ?